Tornadoes and other nature disasters are something quite common all over the world. 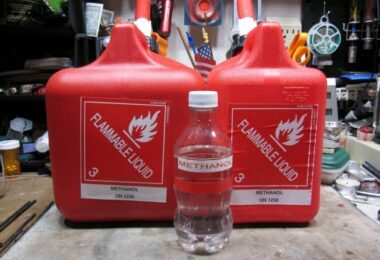 If you know your area is a dangerous zone and often suffers the whims of nature, then you surely have some survival kit and preparedness plan close at hand. 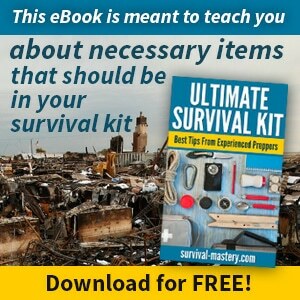 If that is the case then you’ve done almost all of the necessary steps to prepare for a disaster. 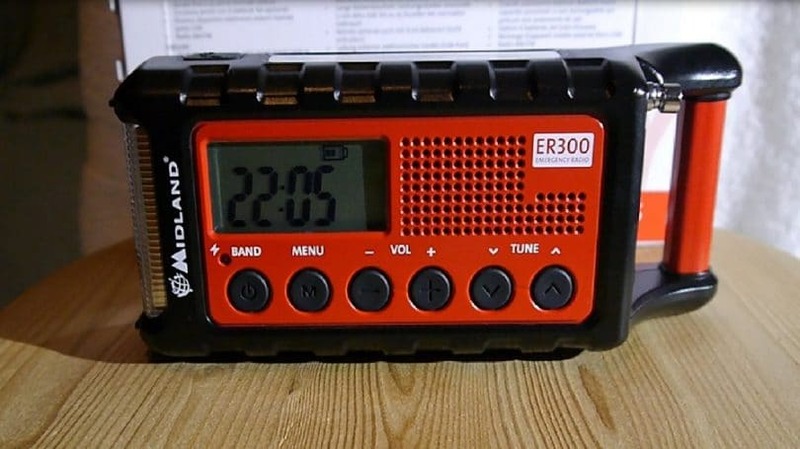 Yet an emergency radio can be essentially one of the most important items you should consider. The reason for this is that when you’re blocked or absolutely isolated from the world, all connections are cut, there’s no electricity, etc. it is always important to at least be aware of what’s going on around you, or in the area hit by the disaster. News will always be broadcasted and updates released. It is vital to be aware of the current situation since it may save you some time in personal research or area tracking. The latter option may also be dangerous. And of course you can’t check the entire city or state by yourself. The radio will save you the trouble and you’ll know if a rescue team is on the way and when they will reach you and your area. So, in this article we’ll discuss all the features you should be looking for when buying a radio, and also we’ll talk about some models and brands to consider. You need to know that not all radios are made equal. 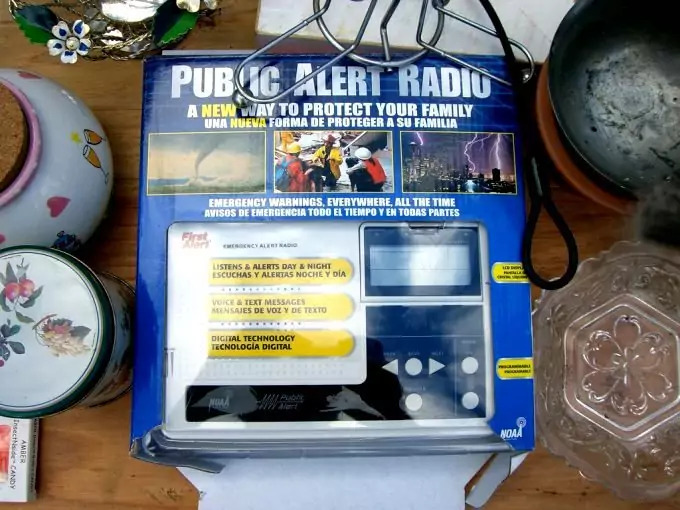 You can’t just grab any emergency radio believing that this would be enough. There are things some radios lack, while others have extras. You need to know all these important details so you can make an informed choice. Your biggest concern should be if the radio could receive NOAA’s broadcasting and alerts. This should be more than enough for you if you don’t need anything else like a local radio channel or similar. There are some expensive products that can tune in to other frequency bands, including radios that are two-way. These can be useful if you plan on using these other bands or the two-way communication system built-in the radio, but otherwise, simple radios receiving NOAA’s alerts can be all you need. Therefore it’s good to look for specific labels that some radios come with. These are ‘Public Alert’ and ‘NOAA NWR All Hazards’. You should see these logos on the radio. If there’s no such logo, don’t buy that product. These two standards are the most popular and are even competitive to each other, but they are both evaluated by NOAA and the National Weather Service. Basically what these stickers mean is that these radios follow certain technical specifics and can receive local broadcast and alerts. They also have indications for visually impaired and hearing impaired people, respectively vibration signals and visual signals like light, when an alert is issued. Another thing we advise you to look for when purchasing a radio is if it offers SAME (Specific Alert Message Encoding). This means what it says – you can specify criteria upon which to receive certain alerts and for certain areas. You may want to receive alerts just for your city, or county, or state. It’s all up to you. Here comes another feature you should absolutely have – a radio that supports different power sources. This is an absolute must, since radios consume power pretty quickly and you may end up with a discharged battery within the next few hours since the beginning of the disaster. 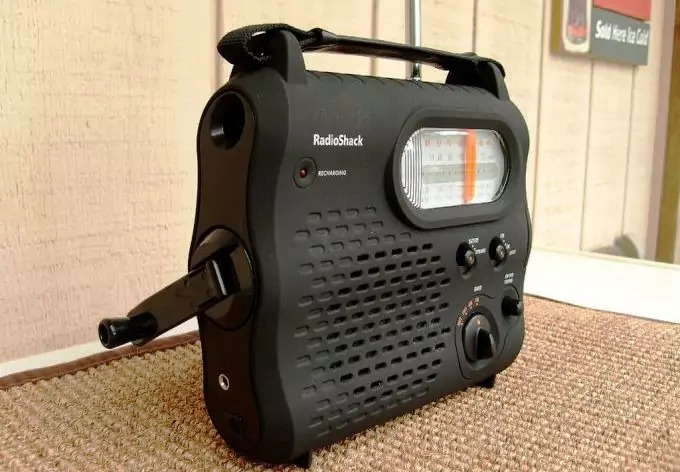 So, go for radios that support not only battery charging, but also can be plugged in an AC outlet (can be charged from the power grid), and have even a hand-crack when all other options are out. There are radios that support solar-panel charging, which may be a great idea if there’s sun in your area (at least after the disaster). We even have reviewed some of the best on the market in this article here. Also, keep in mind that adding features and add-on into your radio may further speed up the power discharging. Speaking of features and add-ons, we must say that as much as these may sound like some luxurious extras, some of them can be very handy and in fact pretty important. Some radios can have multiple power supply outlets and can be used for charging cellphones, tablets, computers, etc. As we mentioned above, you can also plug in solar panels to help the radio recharge. Other features include flashlights, rubber exteriors to prevent the radio from breaking in case of it falling or you dropping it. However, if you’re looking for a reliable flashlight that will be on your side in an emergency situation, you should take a look at our reviews on the best tactical flashlights. In this section we will discuss some of the most popular and highly rated radios, considering customer reviews as well. This new model (2015) is among the best currently on the market. It’s a small radio with a nice handle. It has a rubber body that protects it somewhat from damage after dropping or falling. It can catch both FM and AM frequencies, which gives some flexibility over which channel you want to tune into. It also receives all 7 NOAA channels. It also comes with a USB port (to recharge your cell phone or tablet), and also AUX input. It has a built-in LED flashlight. What’s really nice about this radio is that it has a solar panel and a Nickel Metal Hydride Ni-MH battery, which is environmentally friendly since it uses only sunlight to recharge. Finally, you can listen to the radio via headphones, as the radio has the appropriate input for that, including a light indicator while in the dark. According to some users, no more than 5 minutes of hand-cranking will charge the radio for about 8 to 10 minutes work. Many say that the hand crank is very easy to use and that the reception is often of high quality, which includes a good audio quality as well. This one also hits the top reviews, and for a reason. It has a telescoping antenna. It can rotate to a full circle (360o). Thus it covers a wider range and can catch broadcasts even during bad stormy weather. It also receives NOAA’s 7 channels (NOAA WX channels). The battery is Ni-MH, and can be charged with a hand-crank that is useful when there’s no electricity and all batteries are discharged. It also has a USB port, just like the Eton’s radio. This one is also similar to the above radios. It also has a USB port and LED flashlight. Still, you should think that the LED flashlight is an accessory you shouldn’t use when you’re looking to save power. If you want one, you should have it as a separate item and we’ve reviewed some of the best in this article. It has a digital receiver, but also can tune in to AM or FM wavelengths. It can receive all of NOAA’s alerts and tunes in to their channels. It has a different battery, a Li-Ion, which can be recharged in 6 different ways, using an AC or DC port, or the built-in solar panel, three AAA batteries or the all-important hand-crank. This is another similar to the last one radio. This one though is highly preferred and recommended by people who already bought and used it. 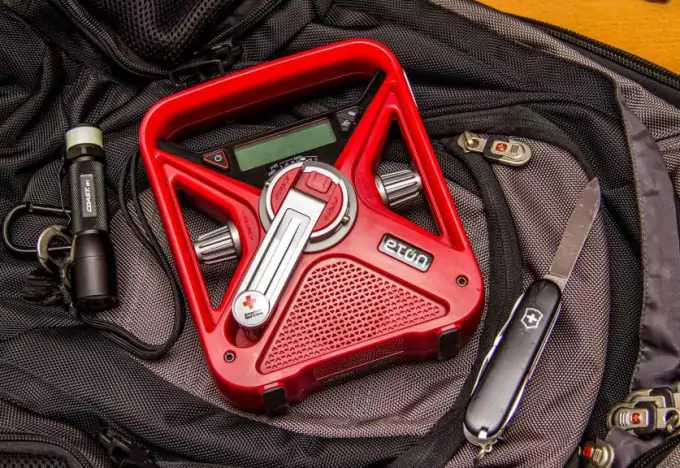 Campers often prefer it but it’s a great emergency radio for disaster situations, since it’s light and compact. 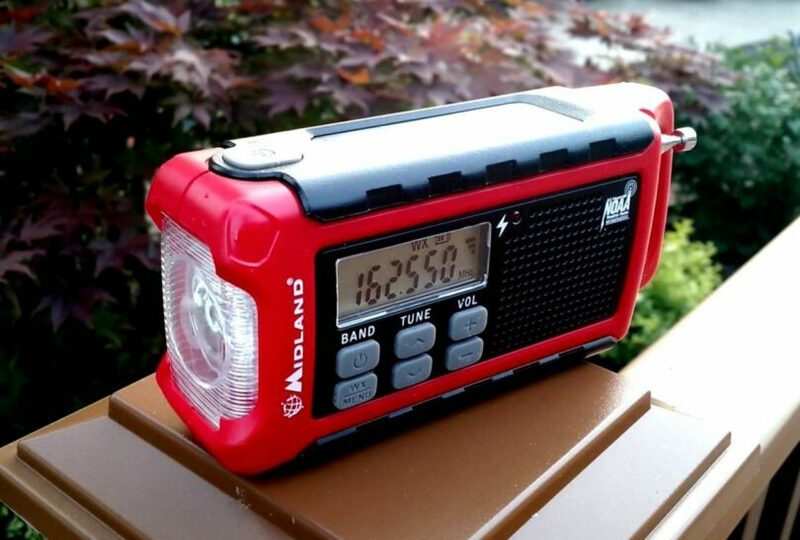 It has all the features the above radios have – USB ports, AM and FM bands and the usual flashlight. It also has a li-ion battery which uses all 6 ways of recharging – the USB port, using the AC and DC ports, the solar panel built in the radio, the AAA batteries or the manual hand-crank. This is yet another ‘Ambient Weather’ product and there’s a reason for it to be in this top-radio list. It has all the capabilities and features the other radios here in this list have. Strangely enough it can’t use standard batteries for charging, but it has a USB port for this purpose. You can also get an optional AC adapter to plug into your household power grid. Users like it because it’s portable and small. Not only that but it also has a great receptive ability delivering high audio quality. What’s also good about this one is that you can replace the built-in battery with a new one, which means you don’t have to buy a brand new radio when the battery wears off. And the best thing about it is that even if something breaks or fails you can send it to Ambient (if it’s still under the warranty period) and they are very helpful and address any problems quite quickly. They will always replace the radio if it’s totally dead without anything specific to have happened to it. This one is somewhat more high-tech than the ones above. It has all the features we’ve been talking about in the first paragraph, including a SAME option so you can easily program which area to tune in. Of course it covers all 7 NOAA channels and also has a visual indicator for alerts and warnings. Unfortunately it doesn’t have a hand-crank, which may come as a surprise, so pack as many batteries (AA standard) as possible when the season is prone to heavy storms and hurricanes. It’s slightly pricier, but totally worth it. Consider this – just a few minutes of hand-cranking the radio can work for about 2 hours. On the topic of power, full 10 hours of sun-charging brings up the battery to life. Another extra is the thick rubber coating which makes the radio durable in case of dropping it, and also is water-proof. 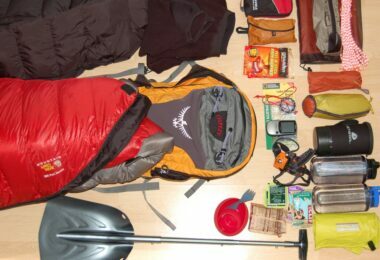 It boasts all the other features we discussed so far – 7 NOAA channels, AM/FM band, USB port, DC outlet for charging, large solar panel, a carabineer for holding onto your belt of backpack, flashlight (which is economical and uses the battery less intensively than the radio itself). This one also scores high on the list of the best emergency radios. This one has a feature to help you attract attention on you if you’re lost including an SOS beam visible at a large distance. It also has the rare feature of having a ultra-sonic whistle (for dogs). This feature is very helpful since it will attract dogs, especially if you’re lost, under rubble, etc. and only calling out isn’t enough. Rescue dogs will hear the ultra-sonic whistle sound and will find the source, which actually is you. The only downside to this radio is that for one minute of hand-cranking you’ll get 9 minutes of battery life, which is insufficient. Otherwise, when the battery is at full life, it can last on average 5.5 hours. This is neither great, nor bad, and scales at an average rate. It has all the other charging features – USB port, AC outlet, solar panel and AA batteries. Also keep in mind that this radio isn’t water and splashproof so you need to handle it carefully, and keep it hidden in your backpack if it’s raining out there. It has a rubber coating so at least it’s protected from damage if dropped. 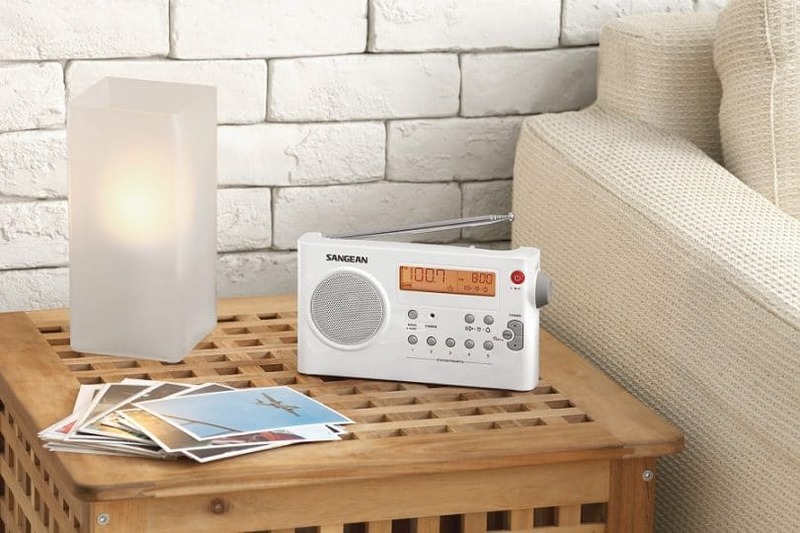 This one (it’s a digital radio) is a beauty when it comes to looks, but it also has great features and doesn’t boast only its soft white casing. It has several power options, including the AC power. It can use two types of batteries – standard alkaline batteries or Ni-MH rechargeable batteries. What’s also impressive is that using 4 alkaline AA batteries gives more than 25 hours of constant use. It’s true it lacks a solar panel and a hand-crank but its durability and battery life scores it very high on the list. This is another Midland radio and it really needs to be mentioned in this list. 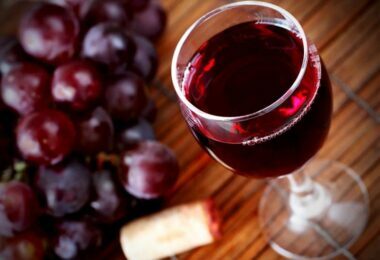 It has high ratings in popular online market and users are generally very happy with this product. It offers a SAME feature and all the 7 NOAA and Environment Canada channels. It has an almost full coverage all around the US. The alert system can be programmed and you will have 3 options – a siren, a LED indication or a voice alert. The siren works best for large homes with multiple floors, so people can hear it wherever they are located around the house. The other two are enough for medium to small homes. After all of these reviews we need to point out that you have to regularly check the radio if it’s still working properly. You don’t want to wait until the last moment and find out it went faulty or is damaged. Also, replace the batteries often. If you don’t use your spare set of batteries for months and months, they get discharged with time. If you try to use them they can actually leak or cause some problem. This can be potentially damaging to the radio. So keep in mind to check the batteries too. 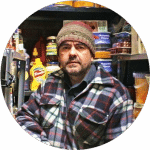 Some manufacturers offer a life-time warranty so don’t hesitate to contact them in case something is out of the order or you suspect it may be not working properly. 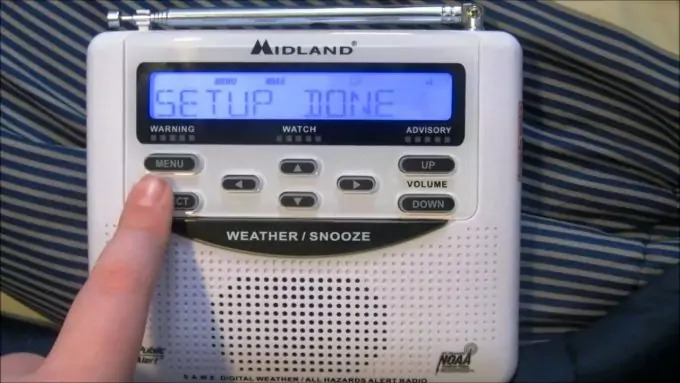 Another advice from us is to test the radio before you actually have to use it for alerts. You may request to test several radios in the store. If you decide to purchase it online, then read as many customer reviews as possible. Many people run into different and often unexpected issues, so this many help you making up your mind. You may also contact some of your friends or relatives and ask them to try and test their radios and ask them to share their experience and knowledge on that. If you have used an emergency radio before, your prior experience may be helpful when you have to purchase a new emergency radio. Most of the radios on this list above are new products, while a few of them are older but tried and tested by many customers. Also keep in mind that it virtually doesn’t exist a radio that is a combination of all the great features we mentioned above. You will have to decide for yourself which features are a priority for you and which you don’t need (because you have them by some other means). For example you may not need a flashlight built in your radio if you already have a compact one, hanging on your belt. You can evaluate these features and this may even help you to reduce the price you should pay. Basically the most important features are the battery-life duration and the access to NOAA’s channels. As long as the battery charges quickly for a shorter time, then this may be evaluated as a top-notch radio. Consider as well the environment where you live. 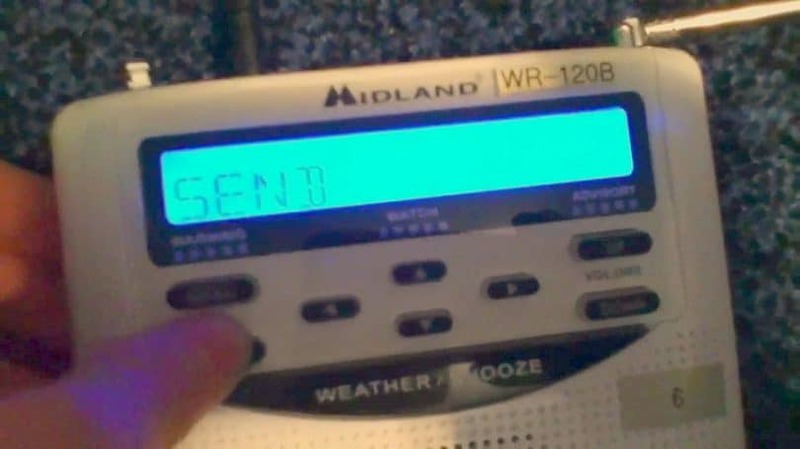 If you live in a flood place where there are often flash floods, you should definitely purchase a water-resistant radio. Of let’s say you won’t be using your radio outdoors. In this case you don’t need it to be rubber-coated, because you’ll use it only at home. So, keep in mind the details, take into account where and how you’ll be using the radio, and you will definitely make the right choice.